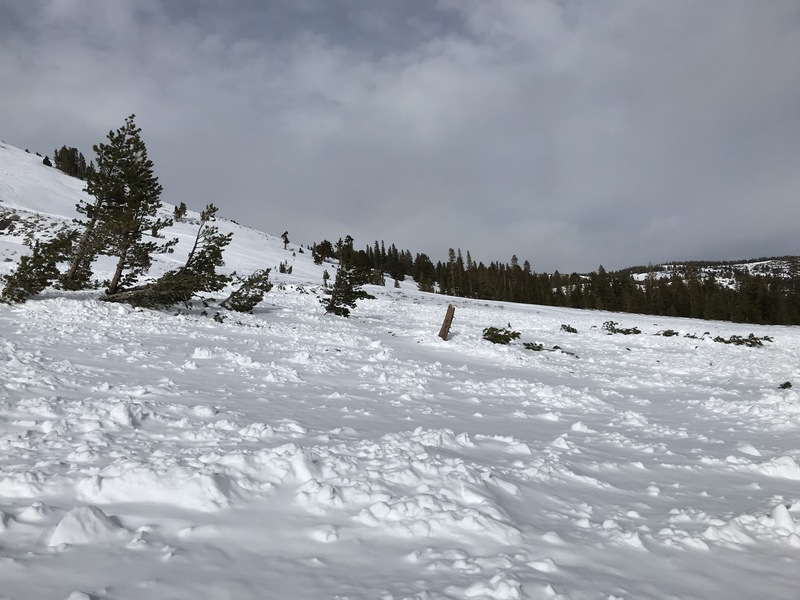 This avalanche path has a feroucious frequency when we have Atmospheric River events. The aspect & descending ridgeline cornice has a way of collecting snow in an unstable fashion. This lower elevation slide path also receives an abundance of rain in these seasonal weather phenomenons, adding a Wet/(Moist) Slab component. The aptly named "Repeat Offender" has a total length of 1100' with its starting zone at 9600' on a NE aspect. The terminus of debris collects in a canyon terrain trap that faces SE. Just above the terrain trap is Leavitt Lake Road, a popular travel route for snowmobilers & training Marines. 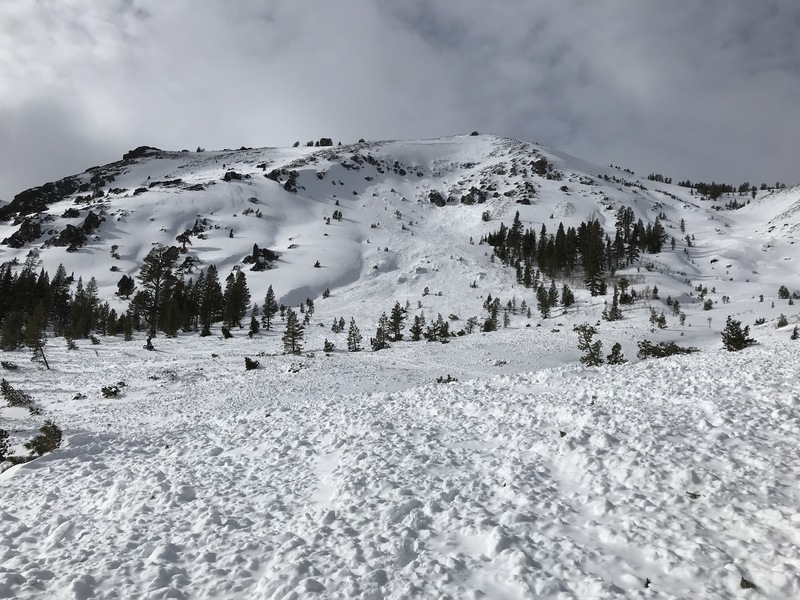 During recent heavy snow, rain & wind a slab of collected snow became saturated & unstable, releasing a Soft Slab Avalanche N-SS-R3-D4-I. The accretion of dense snow avalanched through a patch of old-growth forest, over the road, & filled in the canyon drainage which sypathetically released a slab on the opposing river bank. Trees with over a foot DBH were cleared from their stumps. Island pockets of hang-fire still linger in the starting zones adjacent to this avalanche path. 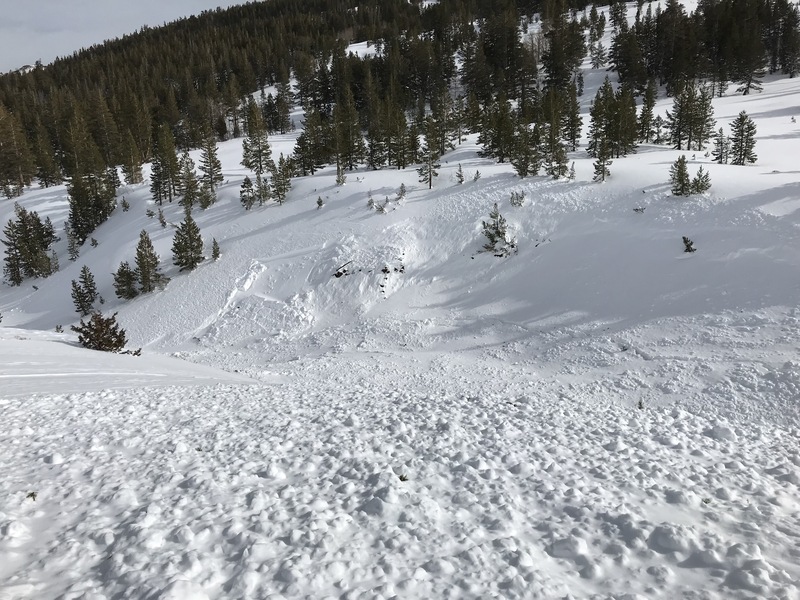 To the NE of this avalanche path another slide path called "Little Buddy" also released with less dramatic effect. Thick coastal clouds lingered nearly all day. The air was super-saturated and spitting rain above Sonora Pass @ 9700'. We had moments of sun & visibility to the alpine, finding multiple crowns.